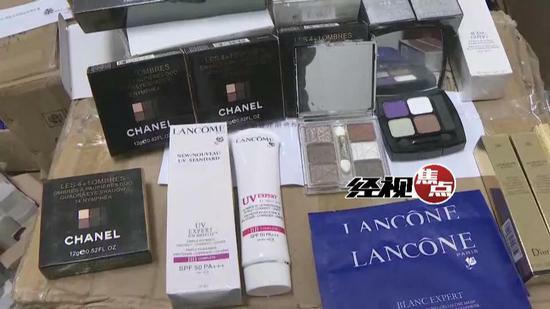 Recently, after half a year of inspection, Xiangtan Food and Drug Administration and Xiangtan Public Security Bureau jointly cracked a case of branded cosmetics counterfeiting, valued at 130 million yuan. 226,505 items of fake cosmetics in 45 varieties were detained on site. 15 hideouts were destroyed and 19 suspects were caught, of which 12 were arrested and 1 was found through cyber pursuit. The counterfeits mainly flow to 17 provinces and cities, including Guangdong, Henan, Hubei, Shanghai and Jiangsu. According to Yang Xueke, Head of Investigation Team of Xiangtan Food and Drug Administration, such a full chain of cosmetics counterfeiting from production and sales to distribution on different levels was cracked in Hunan for the first time.